Saving the cost is a very important and factor in a large network transmission system, especially when it needs lots of the modules,especially when it using the original modules. So then the compatible modules appeared to solve such problem. But How Can We ensure the Compatible Modules Quality When Purchasing? 1. Does it have the DDMI of SFF-8472 Standard ? SFF-8472 standard is the key factor of judging wether the compatibility and quality of the modules is OK or not . it ruled by the SFF committee to identify the DDMI. DDMI is also called DDM or DOM, (Digital Diagnostic Monitoring), having the warning function if the parameter is higher or lower than the usual parameter when working. 2. Does it have the fault location function ? Fault location function can help engineer to find the problem and repair the modules more quickly , and reduce down time. If compatible optical modules have the DDM , we can use the DDM to analysis every parameter of the modules , such as output power,VCC ...and so on , then find the problem in the whole link road. 3. Does it have passed the compatibility testing? Compatibility need to be tested on the switches , and checking the work conditions of modules. This is the only determining step of the compatible modules. The higher the performance of the optical module, the stronger the compatibility. 4. How does Fiberland compatible modules test the compatibility? Every module of Fiberland company will do the switch compatibility testing before packaging. We support so many famous brands of network switches, such as Cisco, Juniper, Huawei, HP, H3C, Alcatel-Lucent, MikroTik ...and so on. The quality of the optical module can directly affect the transmission effect of the optical fiber link. Although the quality of the original optical module is excellent, but its price is very expensive. Now many compatible optical modules are comparable to the original module, but are competitively priced and can help users save a lot of cost. 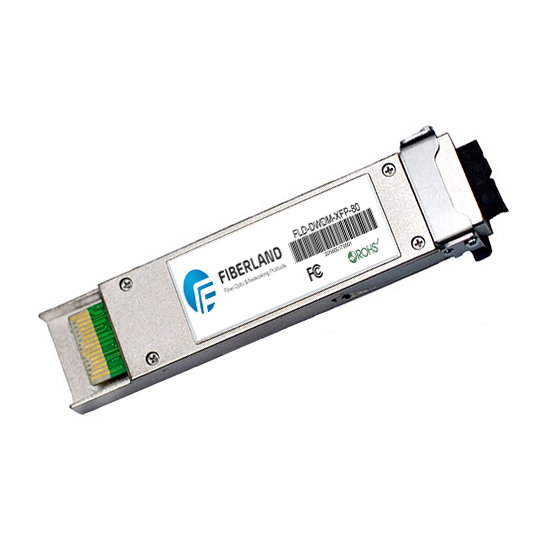 Fiberland is such an optical module supplier, the optical module we supply now has been widely praised by customers both at home and abroad.